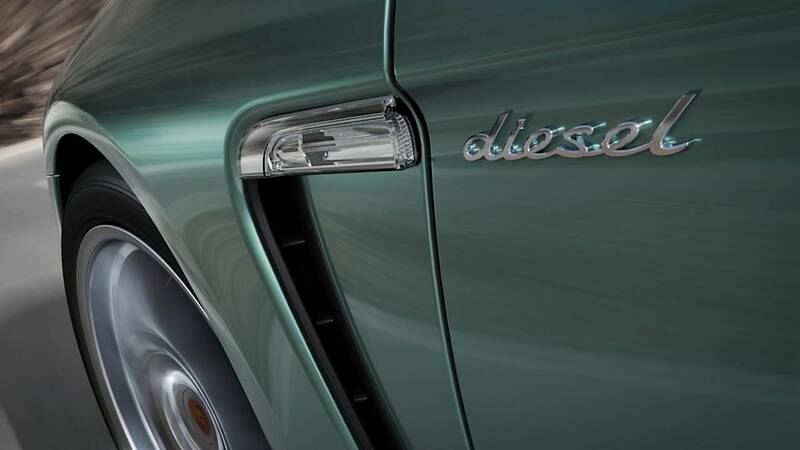 A diesel sedan from... Porsche? What has the world come to? Following in the wake of the diesel Cayenne, Stuttgart's finest is meeting demand in Europe – where an oil-burning offering is a must – with a diesel Panamera. The four-door gets a Porsche-tuned version of Volkswagen's 3.0-liter common-rail turbo-diesel (packing variable-vane turbochargers just like the 911 Turbo), here producing 247 horsepower but a far more prodigious 406 lb-ft of torque – similar to the Cayenne diesel's output, but tuned for delivery over a wider band. Mated to an eight-speed automatic with stop-start capability, that's enough to drive this latest Panamera variant to 62 miles per hour in 6.8 seconds. 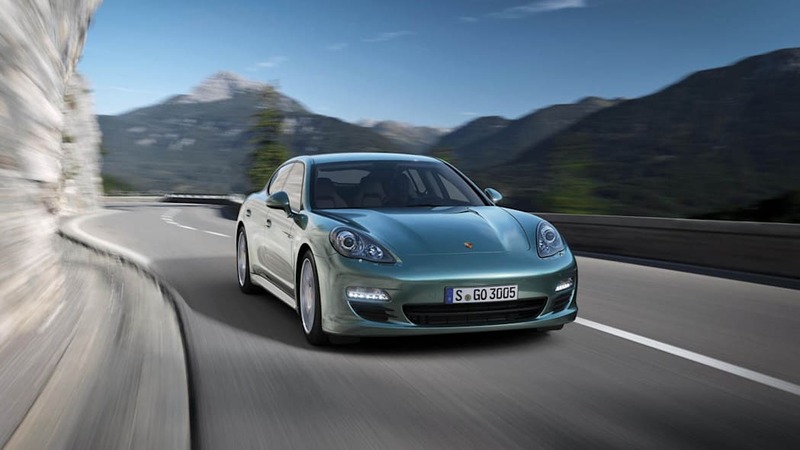 Which isn't bad for a diesel, but what Porsche is emphasizing is the car's range of 745 miles from a full tank of fuel. That's enough juice to drive from Los Angeles to San Francisco and back, blissfully whizzing by every gas station along the way. This isn't something Porsche drivers here in North America would be accustomed to, but that's just as well, as the Panamera Diesel isn't likely to land on these shores anytime soon. For a closer look, scope out the press release after the jump and click through our high-res image gallery below. 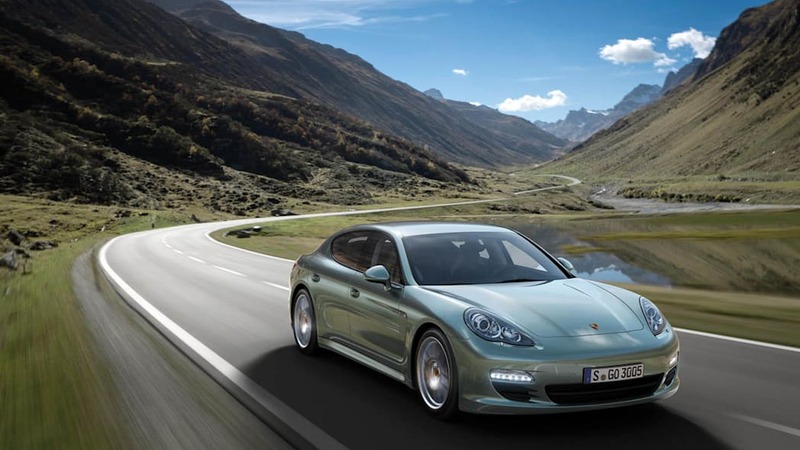 On sale from August 2011, the Porsche Panamera range extends with the introduction of the new Panamera Diesel, further enhancing the model's appeal to UK customers. 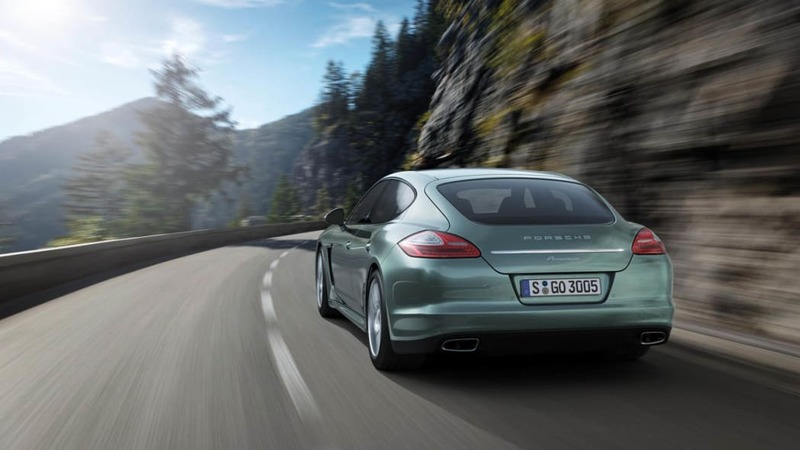 A luxury Gran Turismo, the Panamera Diesel is capable of taking four passengers in sporting comfort from Lands End to Loch Ness without refuelling. Coping effortlessly with short bursts of speed and cross country touring, this long distance sporting performance is delivered by the smooth-running 3.0-litre V6 engine with a rated output of 250 hp (184 kW) achieved between 3,800 rpm and 4,400 rpm. The maximum torque of 550 Nm, available all the way from 1,750 rpm to 2,750 rpm, delivers high pulling power. It is exclusively available with rear-wheel drive and uses a highly efficient eight-speed Tiptronic S as standard. The six-cylinder turbo diesel engine powers the new Gran Turismo from 0 to 62 mph in 6.8 seconds, with a top speed of 150 mph. 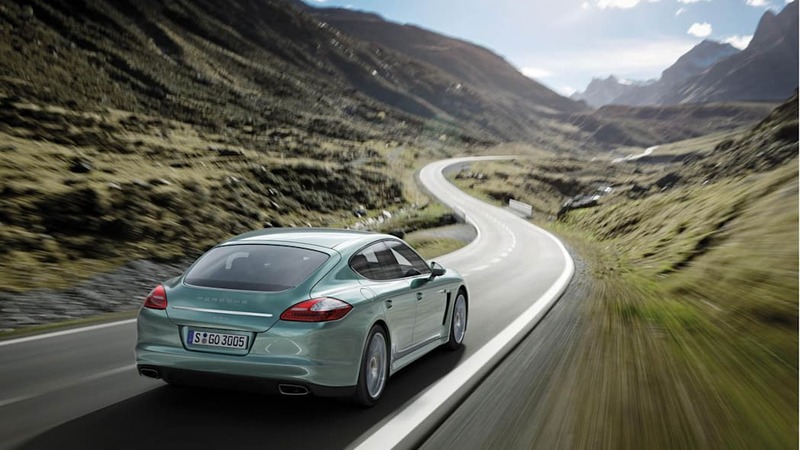 The Panamera Diesel offers a highly appealing driving range of more than 745 miles on one 80-litre tank, emits 172 g/km and delivers a Combined fuel economy of 43.5mpg. With the optional lower rolling resistance tyres, efficiency improves further still, to 167 g/km and 44.8mpg on a Combined cycle. The model's 3.0-litre V6 engine is state of the art in diesel technology: common rail direct injection through piezo valves at a pressure of 2000 bar, turbocharging employing electrically controlled variable geometry turbochargers (VGTs) and emission control achieved by controlled exhaust gas recirculation, oxidation catalyst and particle filter. Performance, generous torque and low consumption are accompanied by smooth running, reliability and low emissions. An additional contributing factor is the auto start/stop function, which is fitted as standard. Adaptive air suspension is available as an alternative to the standard steel spring suspension, to provide an even wider range of suspension settings to extend the driving qualities further still. 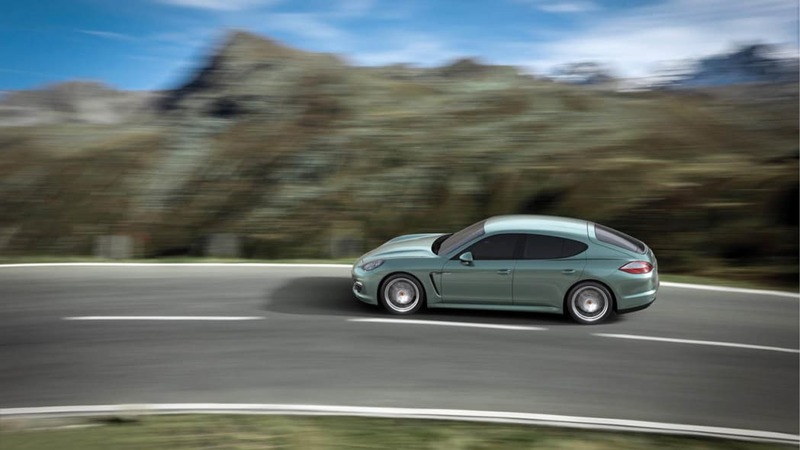 Through its proportions alone, the Panamera stands out clearly in its market segment: measuring 1931mm (76.0in) in width and 1418mm (55.8in) in height, the Panamera is both wider and lower than comparable four-door models. The unmistakable, sleek GT silhouette is created by an overall length of 4970mm (195.7in) and short, sporting overhangs front and rear. This new model can be recognised by the lettering 'diesel' on the front doors. 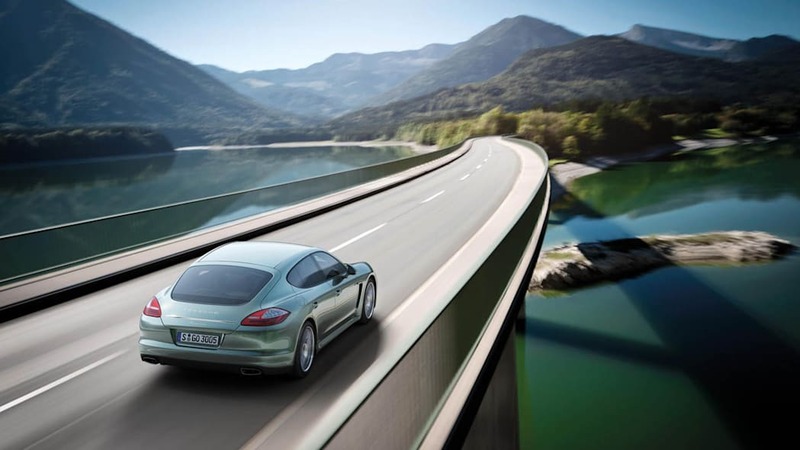 Every Panamera, including the new Diesel model, has a high level of standard specification that includes leather interior, Porsche Active Suspension Management (PASM), Bi-Xenon headlights, front and rear ParkAssist, tyre pressure monitoring, automatic dimming rear view mirrors, Porsche Communication Management with touch-screen satellite navigation and audio controls, cruise control and a three year warranty. 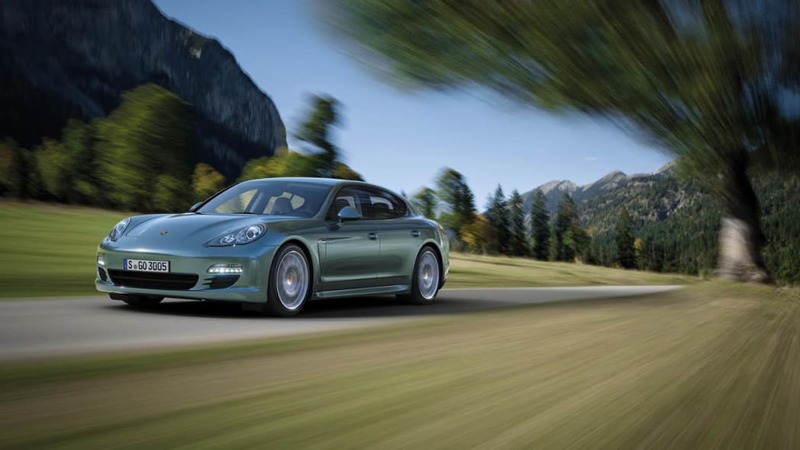 The Panamera Diesel costs £62,134 and is on sale in the UK from August 2011.